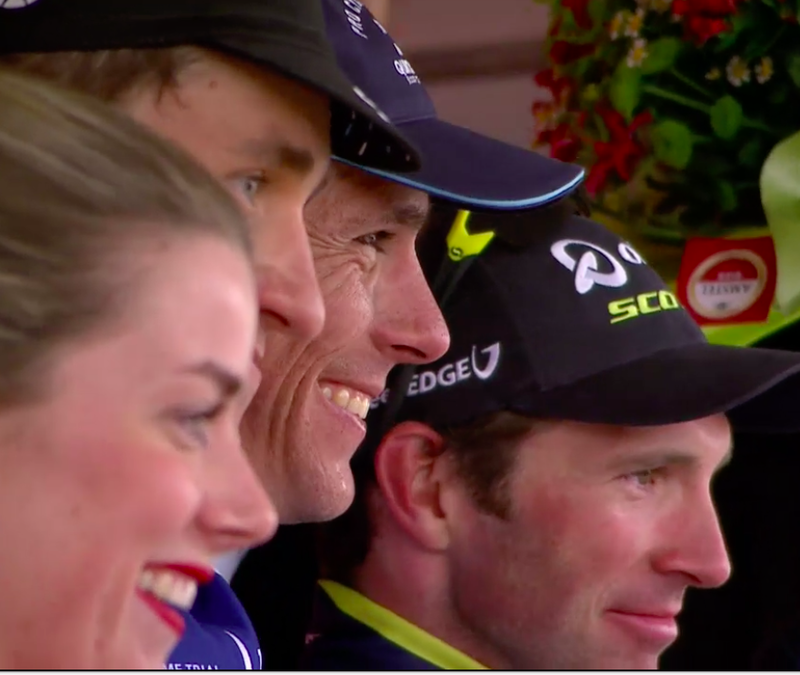 After a springtime of amazing classics, I was feeling halfway through this year’s Amstel Gold that perhaps we came to the end of the line (the Ardennes have never been my favourite races anyway). But like many races, it was dull – and then all of a sudden, it wasn’t. And the man who lit the touchpaper who lit the touchpaper was a rider who is back to his best – and playing with Greg Van Avermaet‘s head! Yes, Philippe Gilbert. Two weeks ago, he went solo at 50km out, seemingly an exercise in futility, except that it wasn’t – it was one of the most exciting wins of the season. He did it again in this race, except he started 10km later. With 40km to go, the Belgian national champion made followed Tiesj Benoot‘s attack on the Kruisberg and, amazingly, after all the work his BMC team had put in, GVA missed the jump, just as he did on the Muur in the Ronde. @VeloVoices @Ally1889 I didn't see it, but you have to think PhilGil was on the short list of "riders not to let go up the road." But it wasn’t just PhilGil that provided the excitement. After the astonishingly strong break got away, which included Henao, Albasini, Rojas, and Haas, a particularly spry Michal Kwiatkowski bridged over, with no reply from the chasing GVA group. The group worked well together, with everyone except Rojas taking turns on the front, until the new final climb, the Bemelberg, when the two former World Champions got a small gap … and then a bigger one … and a bigger one. Would PhilGil have been able to go it alone without the strong group behind him catching him? I doubt it – Kwiatkowski was key to his win. Working together until they were safely under the flamme rouge and had time to faff around, Kwiat went for the sprint about 350m from the finish. It looked as though he had it … his heart must have sank when he saw the Belgian black, gold and red jersey streak past him to take the win. After a few years in the wilderness, I don’t think many would have believed that either Philippe Gilbert or Michal Kwiatkowski would come back this season to win two Classics apiece (so far), including a Monument each. It’s great to see these two riders animating races again and taking it to the two strongest riders at the moment, GVA and Peter Sagan. They’ve certainly made the season a special one! The Beemers BMC rode hard for much of the race, chasing the early break down early, stringing the peloton out, dropping riders left, right and centre, seemingly desperate to exhaust the peloton to set up yet another GVA win. But they burned a lot of matches before the short, sharp and ever-so-steep climbs came, when PhilGil made his move. 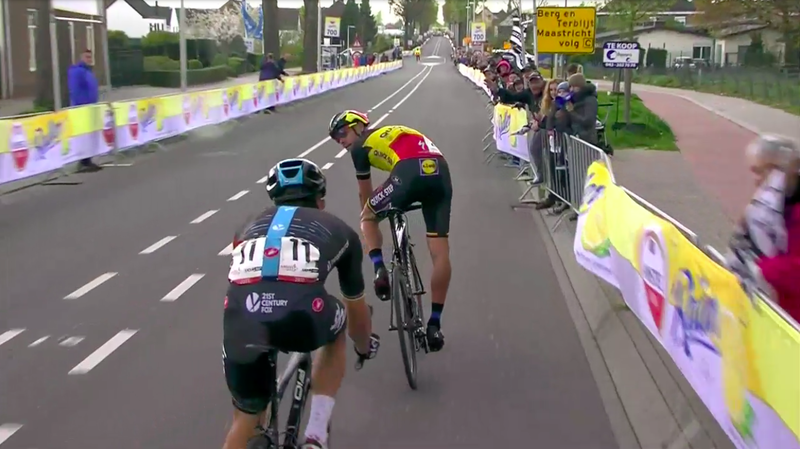 Just like the Ronde, GVA missed the move and before he knew it, his rival was away. He spent the rest of the race dragging an unhelpful handful of riders, including Alejandro Valverde, after the lead group but to no avail. Looks like Roubaix took more out of him than he’d care to admit. A new finish Sometimes a change is as good as a rest, and as we’ve seen in the Ronde, the new Amstel route caused a touch of controversy by taking out the Cauberg at the finish but by doing so, it opened up the race, made it more unpredictable and had the riders going full gas from early on. Just as the organisers of the Grand Tours are learning that long stages don’t necessarily make for exciting racing, the organisers of the classics are learning that these races won’t necessarily suffer with a change or two in tradition. Beer mat belts While the time has surely come for podium girls to be replaced by little kids, like in Roubaix and every football match these days, I really do love Amstel’s beer mat accessories. Okay, the belts are not as spectacular as the beer mat skirts and jaunty top hats from years ago, but they’re still stylish!